The Supreme Court of the United States (SCOTUS) yesterday delivered a significant 6 to 3 opinion which recognizes a middle ground in terms of the circumstances under which a manufacturer of a product which is later outfitted with a dangerous or defective add on part can be held liable for not warning about the dangers of that add on part. In the case of Air & Liquid Systems Corp v. DeVries, the Defendant made certain machines for ships. Asbestos was added to the machines sometimes by the manufacturer but oftentimes by the U.S. Navy, the end user of the machines. The SCOTUS observed that the addition of the asbestos was “required” in order for the machines to operate. The trial court had granted a summary judgment in favor of the defendant holding that the manufacturer of the machines delivered “bare metal” to the end user or to the purchaser and therefore are not responsible to the end user for whatever other companies added to the machine. The Third Circuit Court of Appeals reversed – that is threw out the dismissal if you like. The SCOTUS held that if it was foreseeable that there would be a dangerous or defective product added, the manufacturer of the machine had a duty to warn. The SCOTUS agreed with the result in this case. That is, the SCOTUS held that the Judgement for the defendant should be reversed, that is, they held for the plaintiff, the injured party. But the SCOTUS used a different analysis than the Third Circuit. 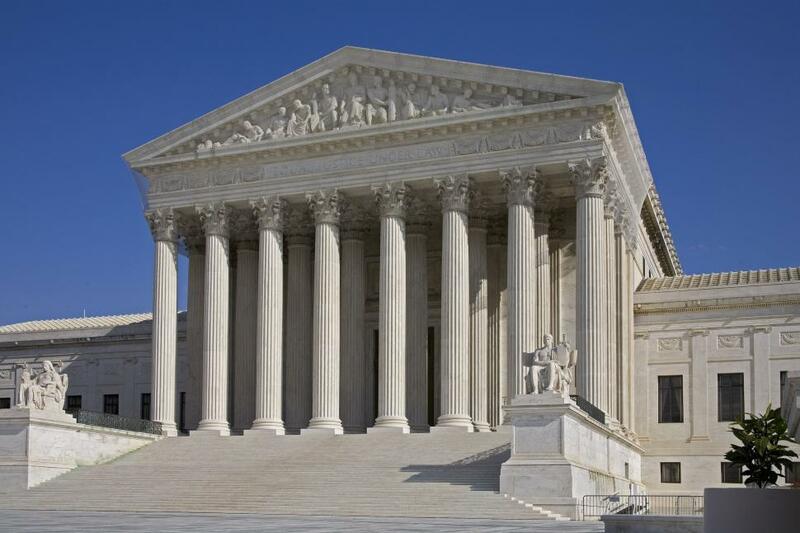 The SCOTUS held that the approach in maritime law should be a middle ground. The plaintiff in the case against the manufacturer of the machine is required to show that the product “requires” incorporation of a part, that the manufacturer knew or should have known that the add on product was likely to be dangerous for its intended uses, and the manufacturer has no reason to believe that the products users will realize that danger. The litigation based on the DeVries case will focus on whether a part is “required” and on the examples given by the Court in the opinion. Defendants, that is the product manufacturer, will argue that the part is not required for its intended use. But whether something is “required” is not a high bar. It is not some theoretical standard which says that the machine “requires” the add on part only if there is no possible way it can operate. After all, I suppose these machines in this case could operate without asbestos. They would be more fire retardant though with asbestos. Arguments also will be made about the 3 examples of areas already decided by the courts. The SCOTUS said that in any one of 3 situations, the manufacturer should warn about the dangers of the add on part. These examples cited by the SCOTUS are where the manufacturer directs that the part be incorporated, where the manufacturer makes the part and knows that a similar replacement part will be incorporated into the machine, and where the machine is worthless without the part. These are only examples of cases which already have decided the issue. Defendants will argue that these are the only instances in which a warning is required. Certainly, the SCOTUS did not intend that these are the only ways in which a manufacturer could be held to have a duty to warn. The significance of this decision is that the manufacturers cannot get off scot free when they know that their product will incorporate a dangerous add on product. This of course is most applicable in the asbestos example like in DeVries. But there are other examples of products used with other products. How about a winch which has to use cable with cable that is so thin that the winch is unsafe to use? That should apply. This is a significant decision although it does follow the Restatement of Torts, as quoted by the SCOTUS. What the decision today also does is invalidate the lower courts’ decisions which did allow manufacturers no matter what to get off Scott free when a dangerous product was incorporated into theirs.